The kitchen is one of the essential components of any home or organization irrespective of the location and size of it. Each and every household has a kitchen within it and the same thing can be observed in organizations and companies. The importance of kitchen lies in our hardcoded DNA which is a result of millions of years of evolution which taught us nothing but to fulfil our desire for food and to satisfy our hunger. Along with the kitchens in the normal households, the corporate kitchen plays a vital role too. It serves the employees who work with a lot of persistence. That is why it is very important to manufacture the machinery and equipment that aid the corporate kitchens too in order to increase the productivity and satisfaction. The corporate kitchen equipment manufacturers are producing the equipment and are striving hard to make new innovations which supplement the growth of this domain. Unlike the equipment used at the small scale (generally in the household kitchens), special kind of machinery and equipment are required because of the large-scale kitchen and hefty food requirements. These equipment are operated by a team of workers led by a supervisor. The corporate kitchen equipment manufacturers found the solution in order to serve the best possible equipment for such a large scale which reduced the labour and the cost. In short, they help to finish the job on time and within the budget. Another challenge faced by the corporate chefs was the limited time in which the food had to be served. These technologically advanced equipment overcame this too which was not possible if the kitchen at these levels used the household kitchen equipment. 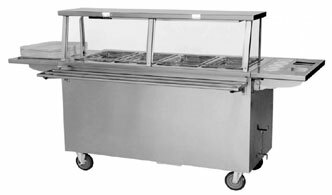 The corporate kitchen equipment are manufactured by considering specific requirements of the clients	such as the location and the size of the client. Several add-ons can also be made by the manufacturers at client’s request in order to fulfil their demand. These equipment also depend upon the choice of food. For example, the south Indian dishes require some special kind of setup and appliances which are very difficult to make with traditional kitchen equipment. This is another reason why the manufacturers of the equipment for the corporate kitchens are required. 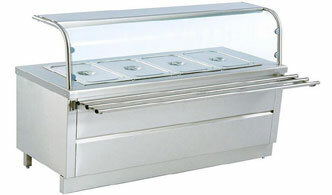 By hariomequipments We specialize in corporate kitchen equipment manufacturers with best quality of stainless steel to know about our quality of product or we can design your requirement"
We also offer various kinds of Panipuri Counters that are widely demanded in various hotels, restaurants and other places. These are manufactured with latest technology and have been appreciated for their convenient designs. These are properly designed to keep various types of fruits in a systematic manner providing. The kitchen equipment manufacturers serve the clients with diverse products and a plethora of kitchen appliances such as stainless steel platform, large ovens with compartments, stoves, and chimneys along with the assurance of fireproof technology. The manufacturers also play a role in installing the ventilation systems which ensure better supply and regulation of air at the pantry. 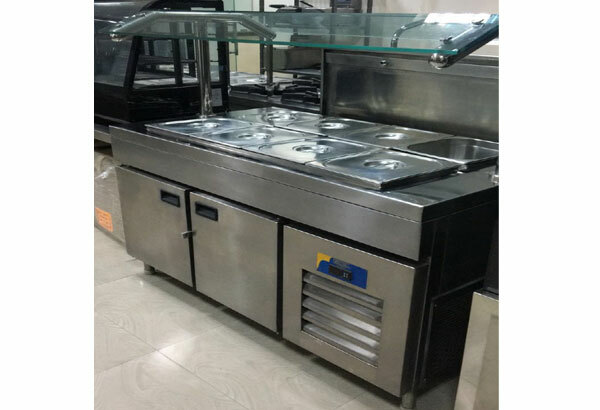 The manufacturers offer a full range of pieces of equipment that are operated by gas or electricity such as the sink, prep area, refrigeration system and cooking area and various machineries like the bakery machinery, food serving equipment, burners, dish makers, dishwashers and whatnot. These appliances and facilities help the corporate workers to make food and serve them to the employees in humongous volumes. Along with maintaining the efficiency, they also ensure the safety of the workers and the chefs who work near these instruments. These manufacturers are aware of the challenges faced by the industry and successfully overcome them.